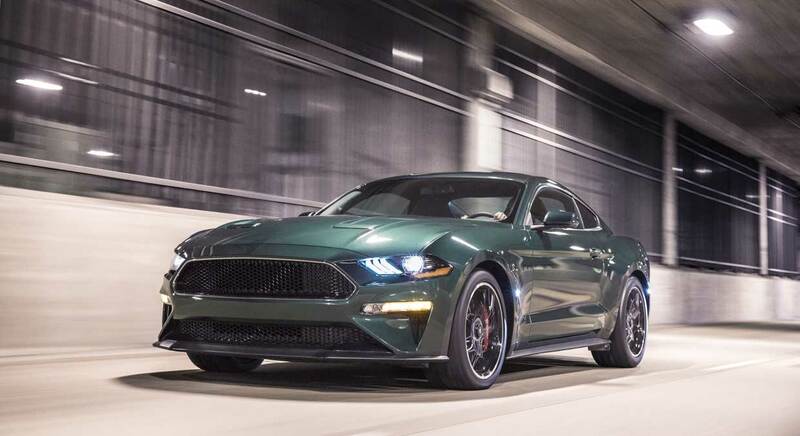 Ford has gone official with most of the details on the all-new 2019 Bullitt Mustang, inspired by the classic 1968 Steve McQueen movie of the same name. 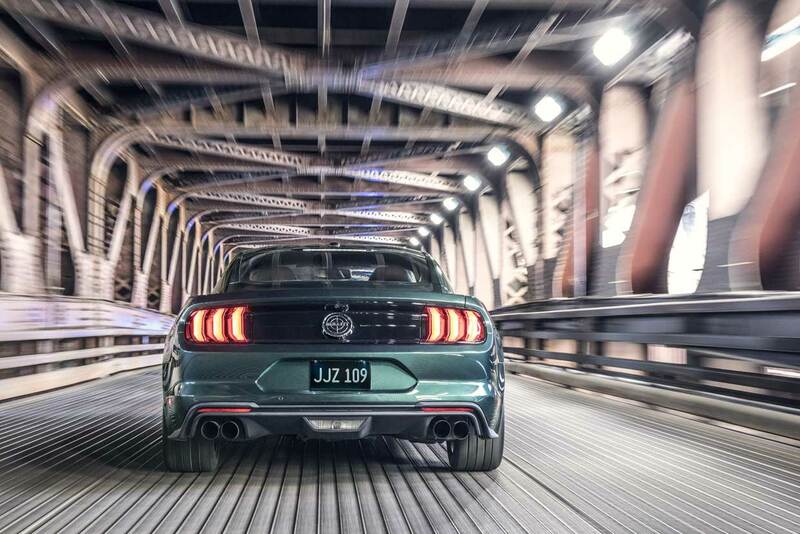 Fortunately, this Mustang isn’t just a cosmetic package, and actually has some performance upgrades compared to the stock Mustang GT. 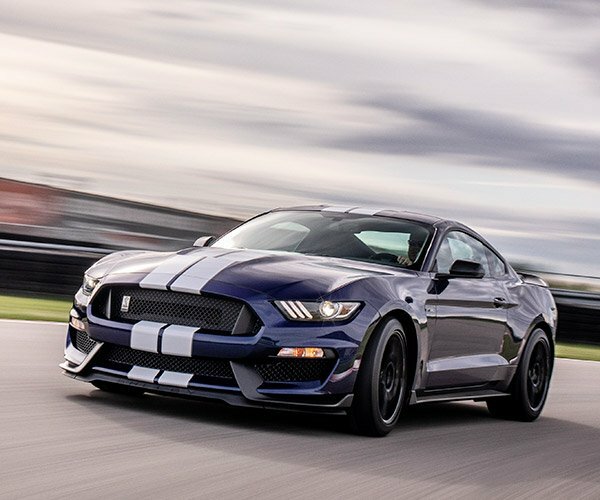 Power comes from a 5.0L Coyote V8 that gets an active valve performance exhaust system, Open Air Induction System, and Shelby GT350 intake manifold with 87m throttle bodies. 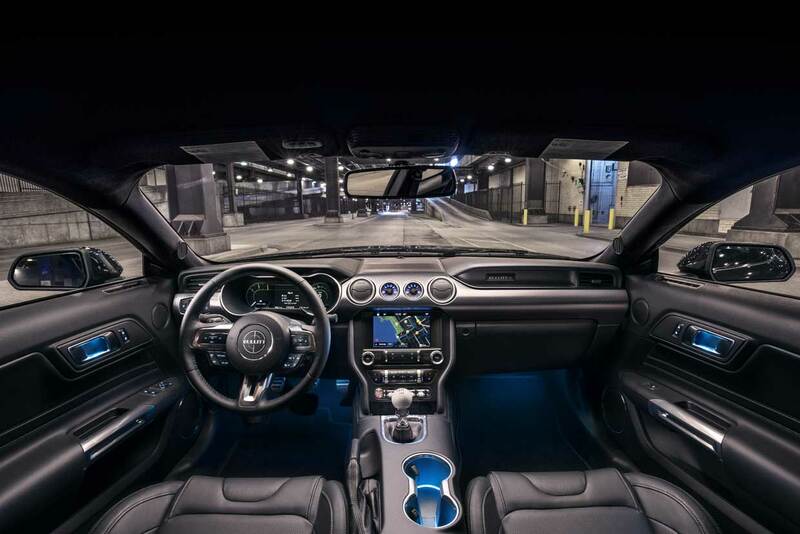 Those enhancements add up to at least 475 hp and 420 lb.-ft. of torque. The Bullitt will reach 163 mph on the top end, 8 mph higher than a stock Mustang GT. Brembo performance brakes help slow the car down. It’s only available with a 6-speed manual gearbox, and even has a white cue ball as its shift knob. The car will be offered in two colors: Dark Highland Green for the folks who want a real Bullitt tribute, and Shadow Black for non-purists. To keep things as minimal as possible, the car is devoid of badging, save the Bullitt logo faux rear gas cap. Black torque thrust wheels are part of the package as well as chrome trim for grille and front windows, and Black NitroPlate exhaust tips. All versions get black leather with subtle green contrasting stitching. Among the three options are the “Bullitt Electronics Package, including navigation, driver memory seats and mirrors, upgraded sound system and blind-spot detection with cross-traffic alert. A highly desirable MagneRide suspension package is also available, and buyers can also opt for black leather Recaro seats. 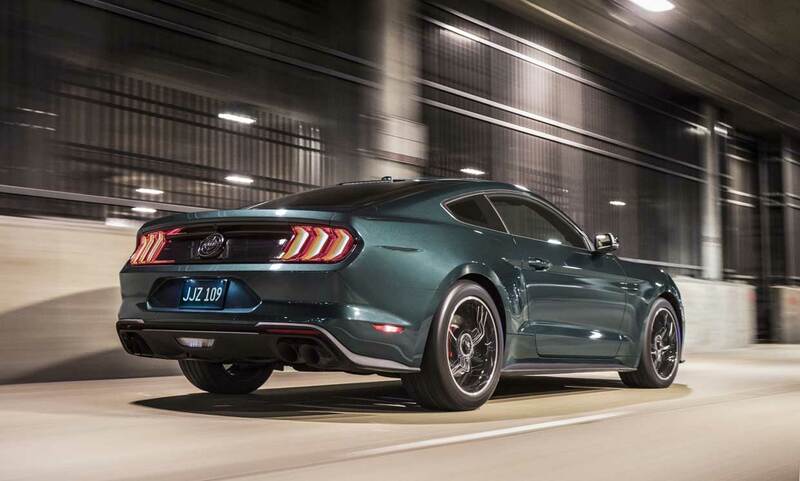 Ford has yet to announce pricing for the Bullitt Mustang, but it should be available a little later in 2018.